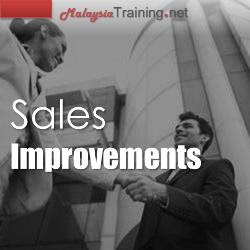 All sales professionals, telesales professionals, marketing professionals, telemarketing professionals, business development professionals - anyone who is interested to improve their sales. This 2-day selling skills workshop includes allowing you to master the I.M.P.A.C.T. System of Sales, cold calling & telemarketing, prospecting, planning, qualifying target market and more! All sales professionals, telesales professionals, marketing professionals, telemarketing professionals, and business development professionals are encourged to attend. Acquire super probing power - how questioning techniques can get you to YES! Breaking through to the real decision maker (how to get past the gatekeepers) by building "Bridges of Influence"
Learn to analyze what's behind customers' words & how to get to the real truth behind every objection! 9. TIE IT UP - ABC ALWAYS BE CLOSING! Why buyers don't buy & why sales people don't close? How to battle for the clients' jobs & get to YES!